As of 2019 cosmetic dentistry costs vary widely, but you'll find approximate costs in this page below on particular procedures. For example, professional in-office teeth whitening cost approximately $250 to $350, whereas over-the-counter whiteners range in cost from $4 to $100. Cosmetic Dentistry is used to refer to any dental work that improves the appearance of a person's smile. It primarily focuses on improvement dental cosmetics in color, position, shape, size, alignment and overall smile appearance. When we met our patients in real life we try to unearth their dental and life story, and to tell our own as clinicians. The end goal is find out if we can bring these patients back to good oral health and give them a great smile. In this process of knowing each other during our one hour consultation we tap into the underlying reason patients have severely bad and stained teeth and why they have decided to come to see us– to get to be the very best version of themselves; a version they have always had within them that got lost along the way. A porcelain crown, also called a cap, fits over and replaces the entire decayed or damaged tooth above the gum line, restoring its shape, size, strength, and appearance. Porcelain crowns keep a weak tooth from breaking or hold a cracked tooth together; they can be used cosmetically to cover misshapen or severely discolored teeth. Crowns can be made from metal, porcelain-fused-to-metal, resin, or porcelain, and cost about $800 to $1200 each. Teeth whitening can be one of the simplest and least expensive ways to improve your smile. Teeth can be bleached with in-office products in your dentist’s office for the cost of about $350, or you can buy a mold and gels from your dentist to bleach your teeth at home for about $250. There are also whitening products available over-the-counter at retail stores for convenient at-home whitening: whitening toothpaste, paint-on gels, rinses, strips, and trays. The cost of these products is about $3 - $50. Dental veneers are thin, custom-made shells of tooth-colored porcelain that cover the front surface of the teeth. After removing about a half-millimeter of enamel from the tooth surface, these thin shells are bonded (cemented) to the front of the teeth changing their color, shape, size, or length. Veneers are often called “Hollywood teeth." Living up to that name, this process can cost up to $900-$1,200 per tooth. In dental bonding, a tooth-colored resin material, which is a durable plastic material, is applied to the tooth and hardened with an ultraviolet or laser light, bonding the material to the tooth. Our cosmetic dentists then trim, shapes, and polishes it. Bonding can repair decayed, chipped, cracked, or misshapen teeth; it is also a good cosmetic alternative to or replacement for silver fillings. Bonding takes about 30 to 60 minutes, and cost $150 to $400, per tooth. Ceramics Inlays and Onlays are made from porcelain materials and fill decayed or damaged teeth. Dental fillings are molded into place during an office visit; however, inlays and onlays are created in a dental laboratory and bonded into place. The filling is called an “inlay” when the material is bonded within the center of a tooth; it is called an “onlay” when the filling includes one or more points of the tooth or covers the biting surface. Inlays and onlays preserve as much healthy tooth as possible and are an alternative to crowns. This cosmetic dentistry procedure costs about $650 to $900 per tooth. Dental implants are titanium replacement tooth roots inserted into the bone socket of the missing tooth. As the jawbone heals, it grows around the implanted metal post, anchoring it securely in the jaw and providing a foundation for a replacement tooth. This procedure can cost anywhere from $1,700 to $1,800 and more. A fixed bridge is made of crowns for the teeth on either side of a gap with false teeth in between. The bridge cost depends on the number of teeth to be replaced. The cost for a three-unit porcelain bridge starts at about $3,300. Invisalign can straighten crooked or a misaligned teeth and works by applying continuous pressure over a period of time to slowly move teeth in a specific direction. Invisalign cost starts at about $2,800. Our average Invisalign cost is between $3,800 and $4,800. A simple Invisalign case (minor cases requiring a few month of treatment) costs about $3,600 or less, or $4,000-$4,800 to do a full Invisalign case in which all teeth are involved. Many dental insurance carriers prefer focusing on oral health and preventive services rather than elective procedures. Since cosmetic dentistry's primary purpose is improving smiles, many insurance companies choose not to offer those benefits. Fortunately, there are a few insurances that cover a range of cosmetic procedures, including porcelain crowns and veneers. Those insurance coverage range from about $1,500 to 4,500. 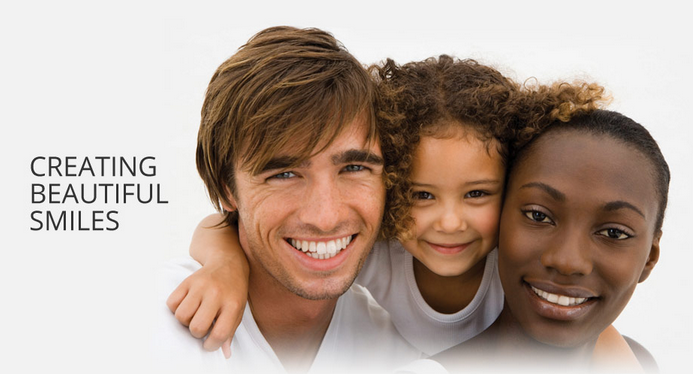 Our office takes all major dental insurance plans that cover cosmetic procedures. A smile makeover is a process of improving ones smiles through one or more cosmetic dentistry procedures such as teeth whitening, veneers, white fillings, dental implants, porcelain crowns know as dental caps or bridges.